Application: daily onto the clean dry skin on the body. Benefits: nourishes and moisturizes the skin with beneficial micronutrients, improves firmness and elasticity, stimulates regeneration of tissues and blood circulation, reduces inflammation and irritation, restores the lipid balance, evens skin texture, reduces the "orange peel" effect, prevents the appearance of stretch marks during pregnancy and lactation, has a natural sun protection factor SPF10. Composition: water, coconut oil, Aloe Barbadensis extract, cocoa butter, beeswax, cinnamon oil, tangerine (bitter orange) oil, agar-agar, magnolia oil, ylang-ylang oil. Treat your skin with the perfect dessert. It will accept delightful combination of chocolate, cinnamon, coconut and vanilla as a royal cake. However this body butter Simple Pleasure will not make you fat and does not harm - on the contrary, it awakens your skin with! Where is the best place to enjoy the summer? On exotic islands, where there is eternal summer and the sound of the ocean mingles with the scent of spices and huge tropical flowers. But even in the bustling metropolis you can enjoy a few minutes of atmosphere of happiness, especially with the tasty jar of Simple Pleasure butter. Gentle soft butter handcrafted with love from extracts of medicinal plants which are not only a source of vitamins, but also desirable treat. Appetizing texture inimitable fragrance body oils - another reason for joy besides the obvious beneficial effect of the exquisite skin care. The composition of Simple Pleasure Body Butter contains collection of the best moisturizers from all over the plant world: here lurks nourishing coconut oil, seaweed deep, thick healing aloe juice vanilla delightful and playful cinnamon. Enveloping your skin with spicy aroma, they support its tone and prevent dryness. Thanks to a completely natural composition it easily penetrates deep into the epidermis, delivering into the cells all the active ingredients which stimulate metabolism. As a result - even color and texture, skin elasticity and vanishing cellulite. The rich fruity floral fragrance subtly emphasizes your femininity. Open the tin of Simple Pleasure body butter and breathe in the sweet, nostalgic aroma. Take a small amount and apply gently onto clean dry skin. Spread evenly over the body with massaging movements. Feel all the cells of your skin vibrate with unearthly pleasure as they drink in the essential nutrients. Close your eyes and sink into a dream. 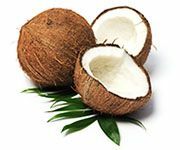 Cocos Nucifera Oil (Coconut): As the inhabitants of the tropics quench their thirst with coconut milk your skin drinks life-giving water of coconut oil similarly. This is an excellent moisturizer and antiseptic. Its structure containe lauric acid, which is easily absorbed by the cells, nourishing the skin with vitamins E and K, valuable acids polyphenols, iron and organic sulfur. They have antioxidant anti-fungal and anti-bacterial effect, preserving the health and youthfulness of the skin. In turn, the scent of coconut pulp creates an atmosphere of warmth and optimism. Aloe Barbadensis Leaf Extract: In Egypt, aloe juice was called the elixir of youth, and Indian tribes believed stems of aloe is where the goddess of health and prosperity lived. In all ages exotic, but easy to get accustomed to any conditions the plant is a symbol of good health. Aloe speeds up the regeneration of tissues, moisturizes and softens the skin, relieves inflammation, stimulates blood circulation and protects youth. Women from all over the world "befriend" aloe for its properties that give skin a radiant and a fresh look, providing it smooth and comfortable moistening. Theobroma Cacao Seed Butter (Cocoa): Who does not like to treat yourself to a chocolate bar? Cocoa - a source of endorphins and substances that return vigor and improve nervous system. Active ingredients of cocoa butter moisturize and soften the skin, making it supple and smooth. They restore the lipid balance, smoothing wrinkles and crow's feet. Cocoa butter is effective in treating stretch marks, small scars and consequences of rash. Finally, cocoa protects the skin from chapping and dryness, and its fragrance brings joy, courage and inspiration. Beeswax: We added bees wax extracted from the honeycomb of bees Apis Mellifera, thoroughly cleaned and bleached by hand; it is devoid of impurities which remain after the chemical purification. The composition of it is very close to the dermal fat that protects our skin from dehydration. 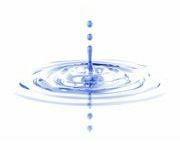 Creating on the surface a thin film which does not interfere with breathing and removal of toxins. It is also important that such a natural wax is used to treat skin inflammations, burns and wounds. 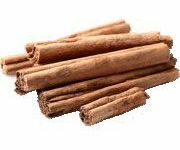 Cinnamomum Cassia Bark Extract Oil (Cinnamon): Cinnamon fully lives up to its second name - perfect spice." In cooking, it serves to enrich the taste, and is a source of essential vitamins and elements which stimulate cellular metabolism for our skin. So cinnamon preserves youth and elasticity of the skin, eliminating the pale and sallow hue. Improving skin tone, it warms the skin! A mischievous fragrance cheers up and adjusts optimistic mood, with it the world becomes brighter and more harmonious. 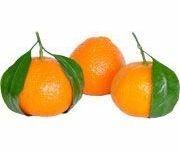 Citrus Reticulata Peel Oil (Tangerine): Orange contain a greater number of vitamins than the flesh. Benefits of by orange crusts at sundry times and possesses startling properties. Zest - this is one of the most useful parts of of orange. It is in it is contained most of all of vitamin C. Sochnaya orange zest brings huge favor of, in connection with the presence of a large number of of ascorbic acid, of vitamins B1, B2, P and A, calcium, phosphorus. Furthermore, in oranges is contained pectinic and citric acid, natural antibiotics - phytoncides. In ancient times, the oranges used in the treatment of ulcers and wounds, as contained in citrus volatile able to kill germs. Agarose (Agar): Collected in the depths of the Pacific Ocean, seaweed agar used in the kitchen of the world instead of gelatin. It is used to cook the souffle, ice cream and marmalade. Agar extract contribute to the penetration of active ingredients that are a part of this cosmetic product into the epidermis and have detoxicating soothing and anti-inflammatory effect. They include - 4% of mineral salts and 80% comes from polysaccharides: in particular glucuronic (main component of hyaluronic acid) and pyruvic acid (BHA-fat-soluble acid, penetrates the pores sebaceous plugs soften). Michelia Alba Flower Oil (Magnolia): "The Magnolia valley" as it is sung in the famous song is the Black Sea coast of the Crimea and the Caucasusas as well as Central Asia and the South Caucasus this is where you will find this beautiful flowering tree. It is interesting that it has been preserved to our days almost intact from the time of the Cretaceous period. Meanwhile, magnolia valued not only as an ornamental plant, but also as a valuable medicine and beautician. 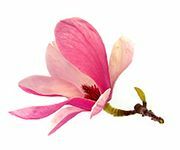 Magnolia flower secrete valuable essential oil, which contains valuable unsaturated acids, such as peanut, linoleic, stearic and others. It perfectly protects the skin from harmful UV rays. Moreover, this miraculous oil can reduce the damage already caused by ultraviolet light. 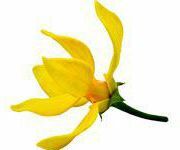 Moreover active substances of magnolia flowers slow down the destruction of collagen and elastane fibers, thereby preventing premature aging. Recent advanced research has proven that this oil helps to smooth wrinkles, and prevents photoaging of the skin. Cananga Odorata Flower Oil (Ylang-Ylang): The undisputed best-selling fragrance, ylang-ylang oil is extracted from exotic flowers of the tree Kananga, pleases with its treasures not only feelings, but also the body. It has a beneficial effect on all skin types and with care evens out, smoothes, moisturizes and rejuvenates the surface of your skin. Being an ideal choice for mature, sensitive and porous skin quickly causes the epidermis to stabilize. Delicate floral scent is perfect frame for natural body odors. Sending your thoughts to the landscapes of tropical islands, it evokes a romantic mood and infects with optimism. Linalool*, Citral* - from natural essetial oils. Store at room temperature, avoid direct sunlight.